2 1320 S Belsay Rd. 2 11492 N. Center Rd. 2 5381 N. State Rd. 3 2511 W. Bristol Rd. 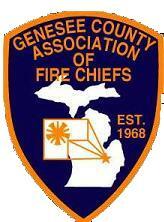 Genesee Township #2 2 3128 Alcott St.
2 5371 S. Saginaw Rd. 2 4011 W. Hill Rd. 2 1494 S. Seymour Rd. 3 1525 Martin Luther King Ave.
6 716 W. Pierson Rd. 8 202 E. Atherton Rd. Those highlighted in yellow are currently not active in the association.